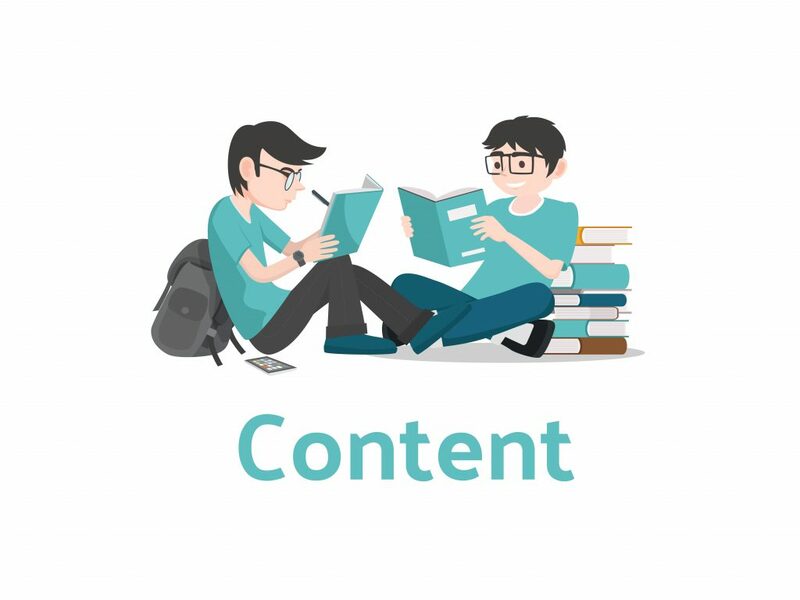 Content is a major part of not only SEO but making connections with your audience. 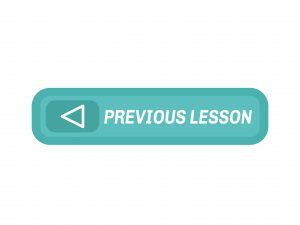 It’s the exact reason why you’re either going to keep reading this lesson or bounce off and do something else. What you have to say will determine the value and engagement with your customers or readers. However, by applying SEO to content it can help you target many keywords and get you ranking in Google. We’ll go through some examples of great content and take a closer look at why it’s ranking so we can understand and see some trends. When we think about a search query, we as digital marketers look at it as an opportunity to help someone. If someone is searching for “how to tie a tie,” then we know that they need help with this problem. The deciding factor on whether their problem will be solved or not rests all on the content. Google looks at a variety of factors that will help them determine what valuable content to serve them. One of the major ones is engagement with the content. Are people spending a lot of time reading a long article and staying engaged with it? Or are they bouncing right off within a few minutes seeing little value? Is the content truly helping them solve a problem and using language the searcher will understand and expect? Or will it be jargon and not helpful to them at all. A few of these examples give you some insight on what data points Google would be interested in, but the real philosophy here is to help people solve problems. We’ll go more into the tactics and strategy of how to find the data to support the content you’ll be writing, but at the end of the day, some of the questions you’ll be asking yourself are: does my content help solve a problem for my customer or reader? Is it doing a better job than everyone else competing for this keyword or idea? 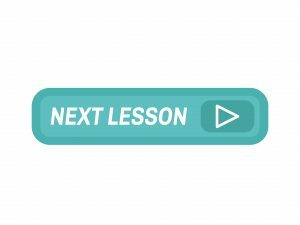 What is a primary keyword and why does it matter? A primary keyword is the main idea of your page. If you could only use three words or less to describe your page what would you say? Now finding that keyword can be a challenge as many factors make up the right keyword. We want to look at things like search volume, cost per click, and competition. A primary keyword is important because it helps you understand what your page will be about and what optimizations will center around. It helps guide you on the choices you’ll need to make for marketing or SEO. Such as how much time, budget, and effort you’ll want to spend on your prospecting keywords. Also, you’ll want to Google your primary keyword to see what your competition is like to understand how much effort you’ll need to put in. The conversion funnel is one of the most useful concepts to help you understand more about your target audience and keyword. We have three stages of the conversion funnel. This is someone looking for information on the topic or idea. They aren’t seeking to buy or even actually thinking about buying at this point. An example is someone searching “what does ABS mean?” The search is a question to understand what anti-braking system means. This person isn’t looking to purchase ABS. They are only looking for information. This is someone who is looking to buy something but still at the informational stage. They want to learn more about it before they buy it. A great example is looking at reviews for products. Another similar example is comparison shopping “Fitbit vs. Jawbone.” This person is looking to see what the difference is between these two fitness trackers. Alright, so now we’re at the stage where this person is ready to buy. They want to find a place of where they can buy this. An example would be “Macbook pro 13″ 2.7ghz” or “buy chromecast.” Someone is clearly looking to purchase these items based on the intent. Of course, don’t just take my word for it and Google the search terms to see what appears in the search results. If we see e-commerce sites, then we know we’re in the right place. Identify if the search term is top, middle, or bottom of the funnel. Do I have an Apache server? How do we find the right keyword? Step 1: Put yourself in the customer’s shoes and think about what you would search. Step 2: Start jotting down all the various keywords. Step 3: Use keywords everywhere tool and click on the “K” plugin icon in your chrome browser (can also use Firefox) and select the “bulk upload keywords” option. Paste your keywords in (with commas or on a new line for each one). Step 4: Look at search volume, CPC (cost per click), and competition. Step 5: Look for high search volume, competition closer to 1 and high cost per click. We see that replace windows and windows replacement are two good candidates so far. Step 6: We then see what our search results look like after searching them in Google. We would categorize this keyword as a Bottom of funnel keyword because the intent behind is that we would like to purchase at this point. Step 7: Confirm if this is a keyword is in the right place. In this case, it would be sites that target bottom funnel and a place where you could buy. 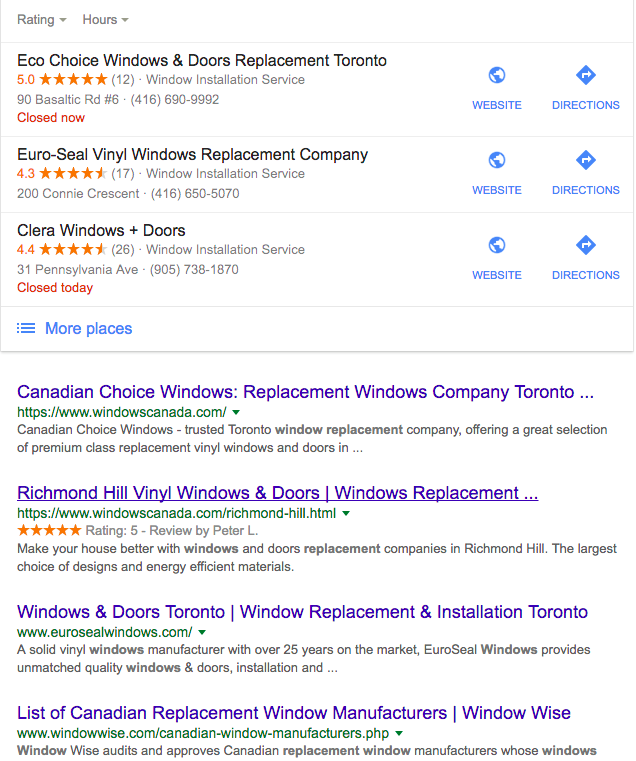 For the first search “replace windows” we see some informational sites and one site that does sell the service for you. This keyword isn’t a bad place to be, but we see that it looks closer to the middle of funnel than the bottom. 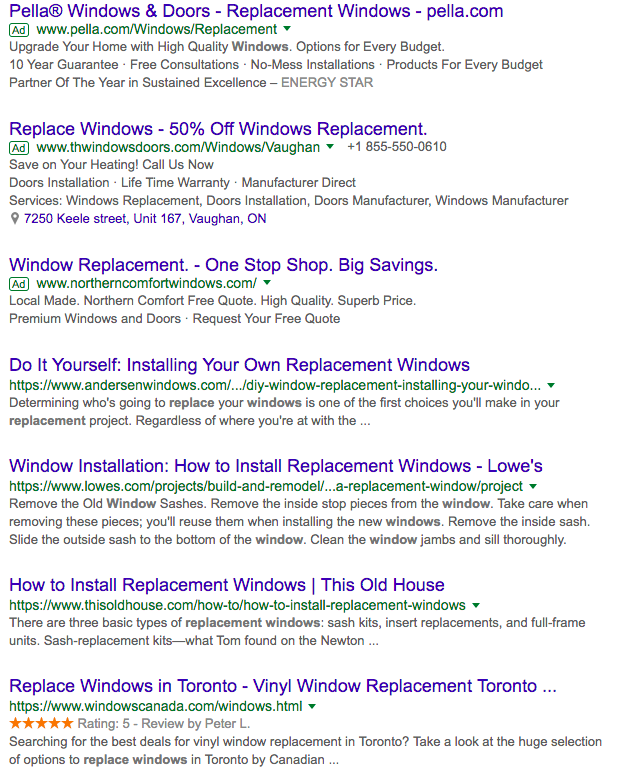 The second keyword “Windows replacement” shows search results with physical stores as well as sites where you can order this service. This keyword seems like the hot spot for us. Here are some free tools you can use to do your keyword research. Set it up by getting your free API and then wait for the email. Once you have your API key, then go click on your “K” icon located on the right-hand side of your search bar. Paste the key in and click validate. Viola! You’re in! Now select your preferred country and currency. You can also select anything else like highlighting search volume if above 1,000 searches per month in green. Ubersuggest – this tool is ideal for entering in your keyword and getting more relevant keywords around it. Ubersuggest will keep the fuel burning and give you more suggestions. Answer the Public – this is another great tool for understanding what questions people are asking around your keyword. Perhaps you have your bottom of funnel pages all built, and now you’re ready to move on to the middle. Enter your keyword and make sure you select the country search engine and see what kind of questions searchers are asking. Answer the Public will give you ample ideas for content and get you ranking for more keywords.